Wow, would you look at that? 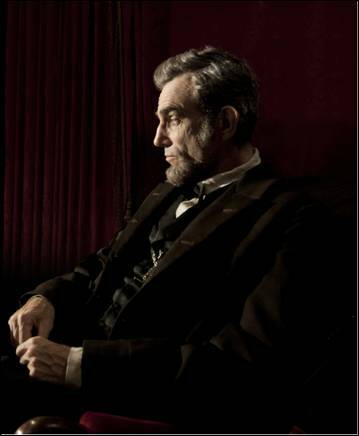 Daniel Day Lewis looks so similar to Lincoln! Lincoln, the movie, is a Dreamworks production directed by Steven Spielberg. Focusing on the last 4 months of President Lincoln's life and the work and challenges he faced to forever outlaw slavery. It's bound to be an empowering movie. Set to be released in limited areas November 9th and fully released November 16th, you can find more about it on Facebook. Are you ready for the picture? What do you think? Splitting image? Haha - I was thinking the same thing. Crazy! He does look amazing. It will definitely be interesting! He does look a lot like the photos you see of the real Lincoln! This is going to be an interesting movie, for sure! !